In 1950, CHEA created an organization within it to help children with disabilities. The fundraising arm of CHEMPI is the Purple Pig. All donations are TAX DEDUCTIBLE! 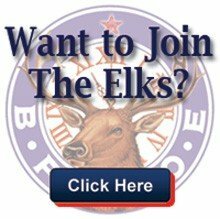 The organization is called the California-Hawaii Elks Major Project, Inc. This unique program funds 32 paid therapists and preschool vision screeners, hired by CHEMPI, to help disabled children when no other organizations can or will. These CHEMPI professional therapists and preschool vision screeners travel, sometimes great distances, to help children get care they need. Further, many times the children will have tests, e.g. Vision Screening, that catches early signs of amblyopia (“Lazy Eye”), a medical problem that, once caught, can be corrected early on and save a child from going blind, quite literally. The fundraising arm of CHEMPI is the Purple Pig. Request a therapist or Preschool Vision Screener to visit your Lodge. Fill out a Form 11- Request for Professional Staff Participation. If you are interested in referring a child for therapy services or having a preschool vision screener visit your preschool, contact Pat Baglietto pbaglietto@chea-elks.org. Shopping online at Goodshop.com just got better! Now every time you make a purchase at one of more than 5,000 online retailers such as Verizon we benefit. It’s that simple! 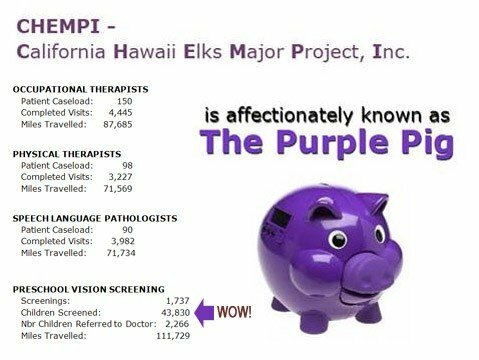 We appreciate your partnership and look forward to working together to help the California-Hawaii Elks Major Project raise more.